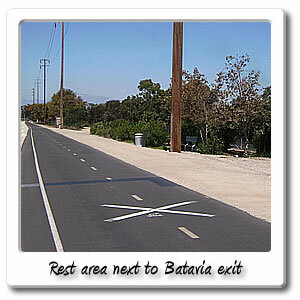 Welcome to Batavia Street on the Santa Ana River bicycle trail. 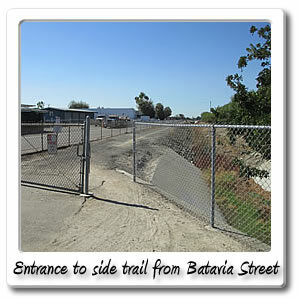 The entrance to the Santa Ana River Trail at Batavia street is just a simple opening in the fence running along a drainage ditch. The opening is an actual, intended opening that's just big enough to get a bicycle through. 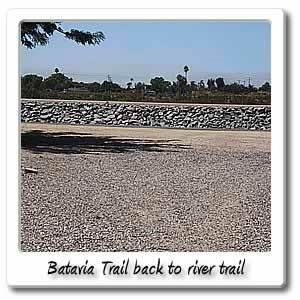 The pathway from this opening to the Santa Ana River Trail, is large gravel and not particularly suitable to be riding a road bike through. 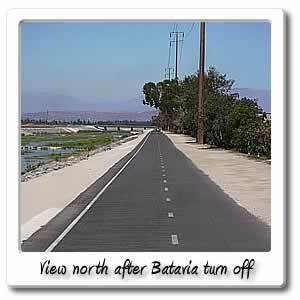 The path is .3 miles and will take you 2 minutes riding through, but is short enough to walk your bike though. If you have beefier tires it shouldn't be a problem though. 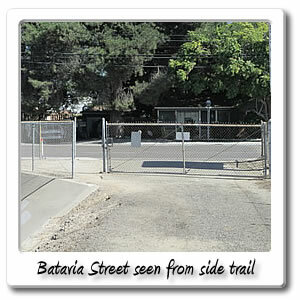 Right next to the opening where it meets the trail is a rest stop bench, and forty yards to the North is a porta potty. There's no water fountain for hand washing though, bring your own. If you go .3 miles for 1 minute, then go south slightly to Southern Avenue, make a left then go .3 miles for 1 minute on Southern Avenue. 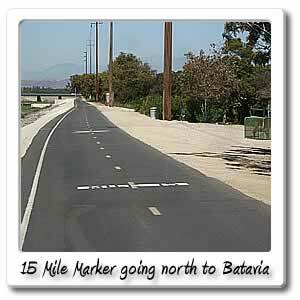 Then turn right and go south on Pacific Street for .1 mile then it will turn into Meats Avenue, and then it starts going east. If you go 1.2 miles for 6 minutes, this will take you to the southwestern part of the Village at Orange. 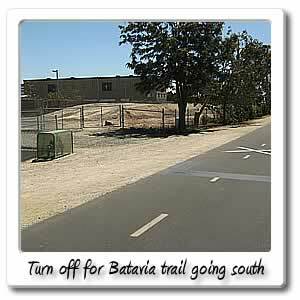 If you go .2 miles more for a minute you'll be at Tustin Street, then if you go north on Tustin Street, you will find all kinds of fast food places, which are better discribed on the Ball Road and Lincoln Avenue pages. 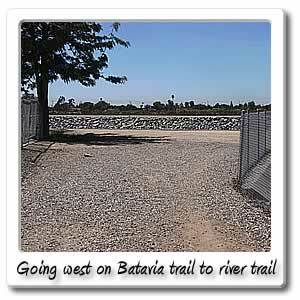 The Ball Road entry and exit point is .7 miles and 3 minutes away. 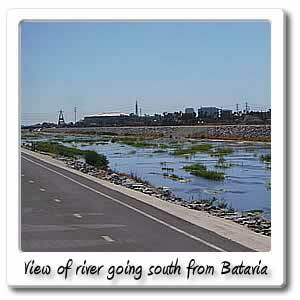 The Lincoln Avenue entry and exit point is also .7 miles and 3 minutes away and has more to offer closer to the Santa Ana River Trail, than the Ball Road exit.